Keep up to date with the latest on people culture and tech in Australia with The Martec. When we published 10 of Australia’s companies hiring big in tech, you guys asked where these companies are located, which admittedly is kind of an important factor. So we’ve explored the different types of tech companies right here on our Sydney doorstep. We asked all the companies to answer a couple of questions – where are you growing and who do you hire. Founded in 2004, hipages connects Australian homeowners with local, trusted tradies. The team helps consumers find verified and licensed tradies in their local area while helping tradies grow their business. Which teams will you be looking to grow in 2017? With a track record of 40% YOY growth, we are expanding across the entire organisation. Key teams that are growing the most are our Product, Marketing and Engineering, Sales, Service teams. We are expecting to add approximately another 50 new roles in our Sydney office alone – so there will be plenty of opportunities! What traits do you look for in new hires? We look for people who are energised rather than daunted by fast growth, regularly changing environments and who enjoy working closely with others. We want smart, passionate people who enjoy sharing their knowledge and are not arrogant in their interactions with others. We look for those who think differently and bring diverse perspectives. Founded in 2015, Amicus Digital is a fast growing agency focused on helping businesses use Salesforce Marketing Cloud to its full potential. We are doubling down on Salesforce Marketing Cloud in 2017 and extending our expertise to further help our customers realise the experience they want to provide their customers – strategic services, business consulting, analytics and reporting, technical and business expertise in all areas of the marketing cloud. Customer-focused, outcome-driven people who work well in a team, communicate superbly and like fast-paced environments. 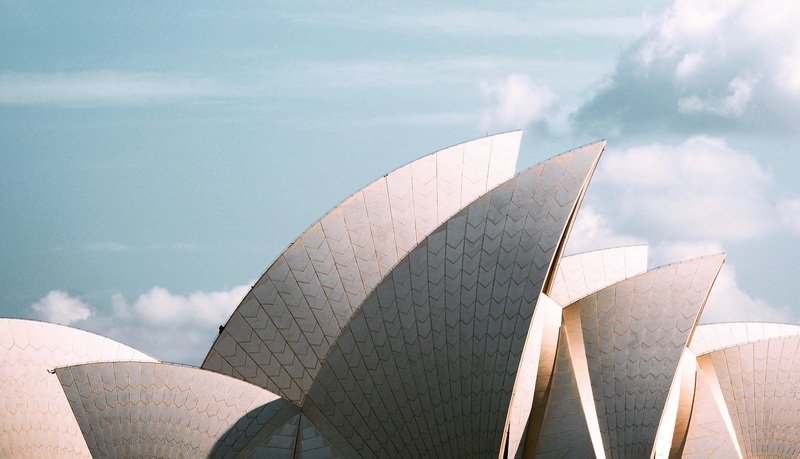 San Francisco tech giant AdRoll launched in Sydney in 2014, The Global Leader in Retargeting has been growing ever since. This year is the ‘Year of the Customer’ at AdRoll so we’re looking to grow our teams that help make our customers’ lives easier – account management, product engineering and operations specialists. In all honesty, we are also looking to grow our own people. We retain the best talent by investing in our people. We provide a number of different internal and external training sessions including presentation training with NIDA and improv training with Improv Theatre. Founded in 2002, Bondi-based cloud-based software company, Elmo has developed one of the countries leading e-learning platforms. ELMO is growing and will continue to grow all areas of the business, as there is a knock on effect with one team’s growth having a direct impact on another team activity. That said, the primary focus will be in Research and Development and Sales divisions. This focus will then require us to hire into other teams to ensure internal and external stakeholders are supported with the increase in workflow. We take our time in hiring to ensure we have the right person. Each candidate must start with the core skills and experience, and then we look for culture fit. We look for a candidate who has been successful in their previous functions, have a wider lens in understanding the impact of their own function, they are a strong team player who pulls their sleeves up to help the team succeed, a self-starter who can hit the ground running, is proactive and solutions-oriented, and most of all able to operate in a high growth environment with a desire to grow. Established in 2014 by co-founders Steve Knowles and Scott King, the Surrey Hills specialist Accordant is one of a small number of agencies accredited by software maker Adobe. We will be heavily investing in our Data Science and Solution Specialist teams whilst continuing to scale our Client Services, Campaign Development and Solution Architecture teams as we are anticipating growth across the entire business in line with market expectations. Our industry is so dynamic, in such an early state of maturity and is so specialised that to excel the most important trait for us is a genuine thirst for knowledge, a true hunger to learn and an ability to think on one’s feet. TEG is Australia and New Zealand’s only integrated live entertainment organisation connecting Ticketing, Live Content Touring, Research and Data Analytics. On the back of a significant investment in moving to a microservices architecture we are focusing leveraging the platform both internally and externally with our clients and partners – this means a strong focus on integration, and moving data at high velocity in our Data Team, and like most businesses continuing to build out our ongoing investment in DevOps Team’s culture and delivery. Attitude and engagement are the primary traits we are looking for – technology is evolving quickly and we need our new hires to drive be able to adapt and hit the ground running in our unrelenting 24/7 world. From a team perspective, a lot of thought goes into the balance and diversity of both experience and skills – we don’t want our thinking to be constrained. Founded in 1998 by two surfers, OFX (previously OzForex) is a publicly listed, cloud-based global company that manages foreign exchange transfers. We continue to invest in our growth from the revenue, tech & product supporting teams in 2017. We are hiring these as we speak and we are always on the lookout for great developers who enjoy working on new technologies like AWS and react. A key success trait at OFX is as a passion for inspiring customer confidence no matter whether your role directly touches the customer or not. New Relic is an American software analytics company based in San Francisco, the company launched in Australia and will be looking to rapidly grow the Sydney team. In 2017 we will accelerate our hiring of a number of key roles in APAC. We will be on the hunt for superstar sales, pre-sales, SDR’s, SaaS Sales Leadership, Deal Desk Support as well as Customer Success Managers. Our primary location will be Sydney but we are hiring for a number of skills with varied language experience such as Japanese, Korean, Indian, Cantonese, and Bahasa. Sydney is looking like its becoming our preferred HUB for a multi-cultural New Relic landing point. We look to hire the best people for each role who can have the capacity to grow as the business grows. There will be a number of leadership roles available due to the scale up of the business. Hence attitude, as well as aptitude, are important in the consideration of candidates. An individual who likes to learn has a growth mentality, and is accountable will do well in New Relic APAC. Being BOLD/PASSIONATE/AUTHENTIC/ACCOUNTABLE/CONNECTING are our core values which we hire to as we bring in more talent into the organisation. Bench is an all-in-one programmatic marketing platform that simplifies the management of performance campaigns and improves media ROI. All of them! We’ve had strong growth this year, doubling our client base and revenue. This means we always have new roles being created, particularly across our Client Services team to generate new business, build relationships and manage campaigns. We’re also hiring across our Product and Dev Teams which are doing some very exciting work developing our product roadmap and building new features into our platform. Each role has its own unique traits but overall we look for people who uphold our company values and are fearless, authentic, proactive and scientific. To be successful in what we do we have to be at the cutting edge of Digital Marketing and our team pushes the boundaries of what’s possible. We are always questioning the status quo and experimenting with new solutions to make programmatic marketing more accessible, integrated and profitable for our clients. Generally, the people who excel at Bench are those that share those values and want to make a difference. Zuora is an enterprise software company that designs and sells SaaS applications. Founded in 2006 the US-based company launched the Aussie footprint in 2014. We are continuing to expand our field sales and presales organisations, with the hiring of 2 more resources just completed. We look for 4 key characteristics in all ZEOs. Intellect, Drive, Experience and Character. Under these themes, we have competency measures that help us focus on getting the right people. HotelsCombined is a hotel metasearch engine founded in 2005, with headquarters in Sydney. The website was also awarded world’s best hotel price comparison site. Within our Product and Technology group we will be hiring across a number of disciplines to support our growing business. We are also looking into the best way to expand our DevOps and DBA capabilities in the coming months. In general, we are looking for enthusiastic, motivated individuals. A positive attitude and adaptability are critical considering travel tech continually evolves and we need people that than cope with change. With the need for regular communication both within and across teams, it’s important that individuals are collaborative, friendly and have a good sense of humour… basically don’t take themselves too seriously. We have over 100+ top tech companies in Australia hiring right now in our community, join today to follow the hottest companies in the country.